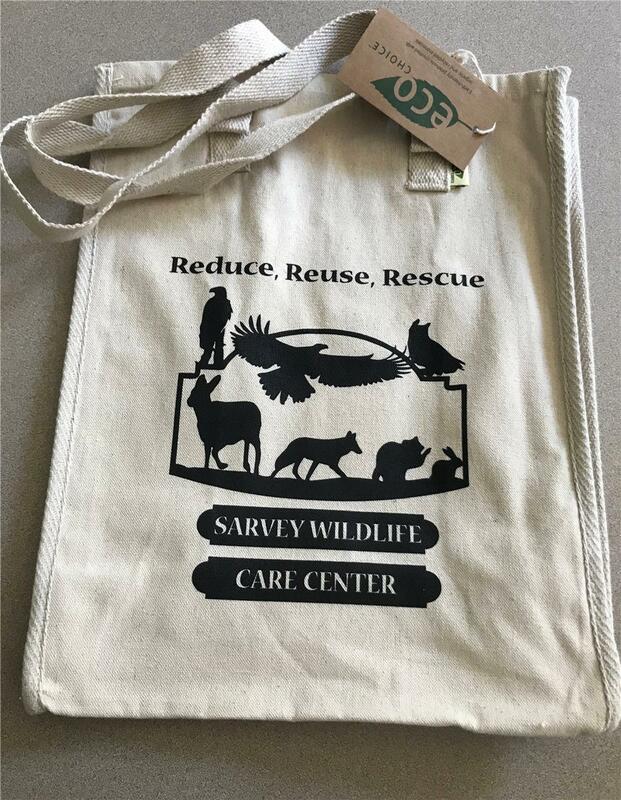 Reduce, Reuse, Rescue with this eco-friendly tote bag featuring our logo. These Eco-Choice bags are made from 85% recycled cotton. Earth-friendly products help our environment and our wildlife population. They are a perfect size for trips to the grocery store or everyday use. Sturdy handles are a great length to carry over your shoulder or by your side. Flat bottom design keeps contents in position.